At the end of the “Portraits in Song” performance run, I had already begun to work on new songs relating to a violent car wreck that I was in, while on tour, in 2013. I was struck by an intoxicated driver who was sentenced to ten years in prison in Texas. I have spent the last 5 years recovering and learning what recovery means. This is a new performance piece that I will work on for the next year that will include elements of dance, movement, songs, music, found sound, and video elements. Tentatively titled, “eurydice” and I believe this to be my way up and out. Details as they happen and you can support the project by becoming a subscriber HERE. 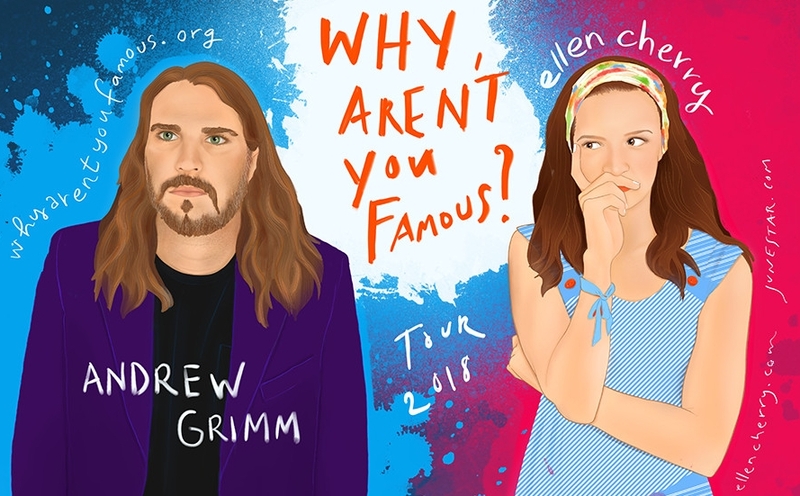 After over a decade of friendship and indie musician camaraderie, ellen cherry and Andrew Grimm decided to try to unpack a question they've occasionally heard over the years, as a series of 24 podcasts and a way to promote another tour. Season One went so well, they are working on Season Two. From the set of my first one-woman show, "Portraits in Song"
I decided to write a play. Well, really more like a one-woman PERFORMANCE PIECE that could showcase the women characters that had been showing up in my songs. I was exploring topics that were important to me through the lens of inner monologues of women, both real and imaginary. These themes had a wide range: sexuality, survival, birth, commitment, expectations, oppression, environmentalism, poverty, fidelity, love. I commissioned portraits of the characters from the artist Liz Downing and wrote and performed this 60 minute program as a touring project from 2016-2018. A review of my March 2017 performance in Baltimore, MD can be found HERE. 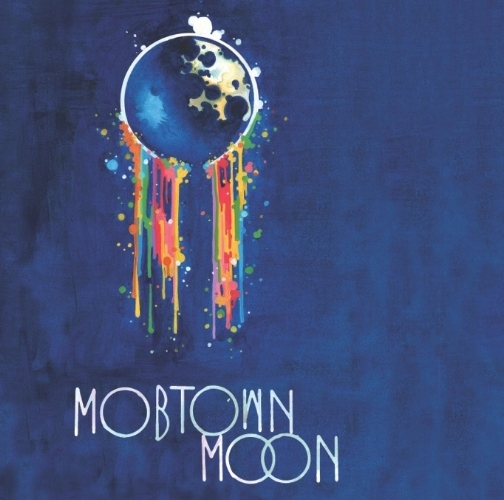 Cover of Mobtown Moon, a re-imagining of Pink Floyd's "Dark Side of the Moon"
For years, on tour, people would say, "Baltimore? Is it really like "The Wire"?!" and I would think, "well, yes and no." When co-producer Sandy Asirvatham approached me about her idea to re-imagine Pink Floyd's classic "DSOTM," I saw a chance to also help a wider audience to see more about Baltimore—specifically, the diverse and amazing music and arts scenes that thrive in the city. Together, we created both an ALBUM and a PERFORMANCE in 2013 that showcased over 50 Baltimore musicians, ranging in styles from hip-hop to bluegrass, rock to jazz, and opera to electronica. And truly in the spirit of the original recording with “found sound” clips, even the city itself is allowed to speak.